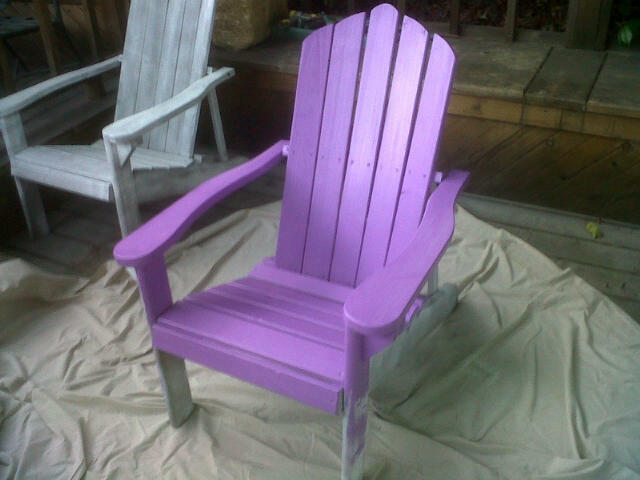 Chair #1. Okay, I caved. I still believe 4 white Adirondack chairs would look picture-perfect sitting in the center of our green lawn with the soon-to-be-white house behind them, but I caved and went with the popular consensus that I should paint each chair a different color. This is Orchid Blush and I have to admit, it's gorgeous!